The keynote speaker for this year's Annual Council is the Very Rev. 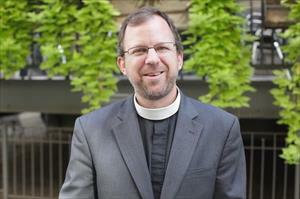 Mike Kinman, dean of Christ Church Cathedral in St. Louis, MO. Following the Ferguson police killing of Michael Brown, Jr., Kinman was an advocate for the Black Lives Matter movement and provided sanctuary for the movement at Christ Church Cathedral. “As a church leader, I go where I see Christ,” Kinman told The St. Louis American in an interview. “And right now, I see Him in the young people. I see Him in the young people non-violently leading this movement.” Click here to learn more about Kinman. Recordings of the Keynote sessions are available upon request. Contact Ann Turner, aturner@diosova.org or 757-213-3388. Preacher: The Rev. 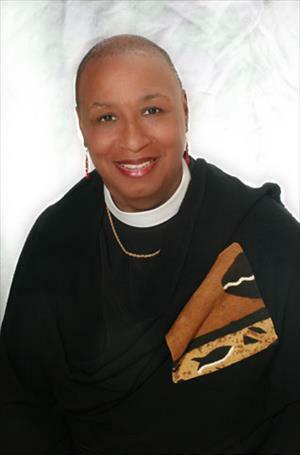 Canon Dr. Sandye A. Wilson, rector of St. Andrew and Holy Communion Episcopal Church in South Orange, New Jersey. She has served with Presiding Bishops Allin, Browning, Griswold and Jefferts Schori on the National Executive Council for 18 years. She is a member of the Episcopal Church's national Standing Commission on Liturgy and Music. Wilson was National President of the Union of Black Episcopalians from 1997-2004 and president of Province VI of the Episcopal Church from 2001-2004. Click here to learn more about Wilson. Click here for the Budget as passed by Council.